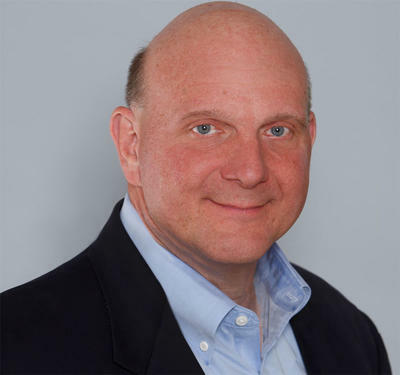 Steve Ballmer is "Super-Glad" Microsoft Built Surface, Thinks Windows 8 Adoption is "Perfect"
Steve Ballmer sat for a spell with MIT Technology Review to discuss the Windows 8 ecosystem. It’s no easy task to gauge the impact Windows 8 is having on the industry, in part because the industry is changing. The traditional desktop is taking a backseat in popularity to mobile form factors, like notebooks, tablets, and hybrids. Windows 8, as you know, is an attempt to bring all these devices together, along with smartphones, under a unified user interface. IsMicrosoft happy with its strategy up to this point? Jason Pontin, MIT Technology Review’s Editor-in-Chief, had a chance to speak with Steve Ballmer about Windows 8 and related topics. One of the questions he asked is what Ballmer feels is a reasonable adoption period for a new version of an operating system that’s to be used by a billion people. And what of Microsoft’s Surface strategy?